The 2018 Toyota RAV4 Hybrid is an amazing vehicle that combines the versatility of a Toyota RAV4 with the incredible efficiency and innovation of the Toyota Hybrid powertrain. It's a perfect vehicle for getting all around the Pacific Northwest, from drives around town to expeditions in the mountains. Keep on reading to learn more about what this amazing hybrid crossover has to offer, then look through our inventory to find the one that fits your needs perfectly. Schedule your test drive online, or head to our location at 3506 S Sprague Ave, Tacoma, WA 98409. The 2018 Toyota RAV4 Hybrid is available in four high-quality trim levels. 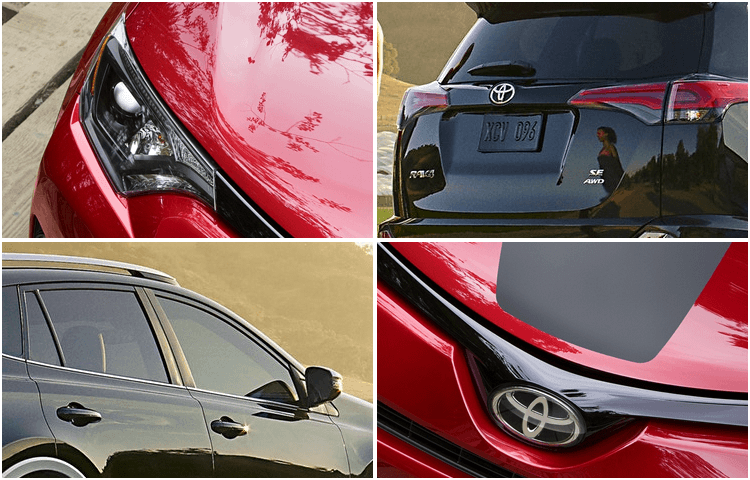 The entry-level 2018 Toyota RAV4 LE Hybrid trim starts off strong with features like 17-inch alloy wheels, power heated outside mirrors, roof rails, dual-zone automatic climate control, Entune™ Audio, and a Smart Key System. Step up to the 2018 Toyota RAV4 XLE Hybrid and you'll get upgraded features like integrated fog lights, a power tilt/slide moonroof, and Entune™ Audio Plus with Navigation--or choose the 2018 Toyota RAV4 SE Hybrid to get LED projector-beam headlights, 18-inch alloy wheels, and SofTex®-trimmed seating. 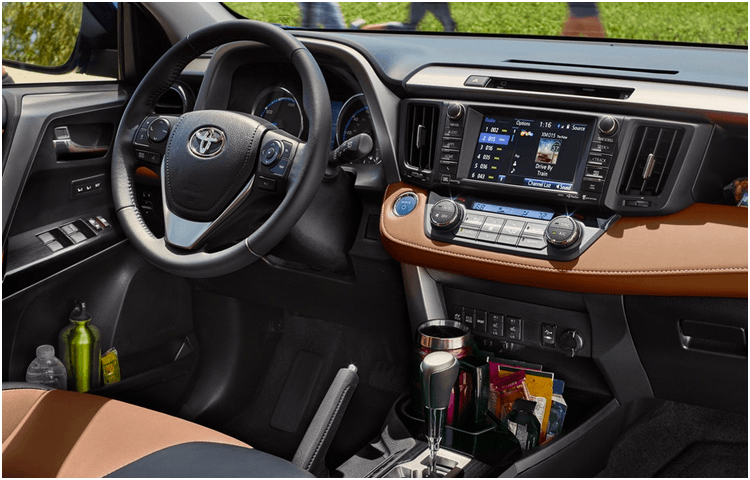 At the top of the line, the 2018 Toyota RAV4 Limited Hybrid has features like an available hands-free, height-adjustable, foot-activated power liftgate, frameless auto-dimming rearview mirror with HomeLink®, leather-trimmed shift lever, and more! Your safety is a top priority--and even in an age where vehicles are safer than ever, Toyota still truly stands out from the crowd. 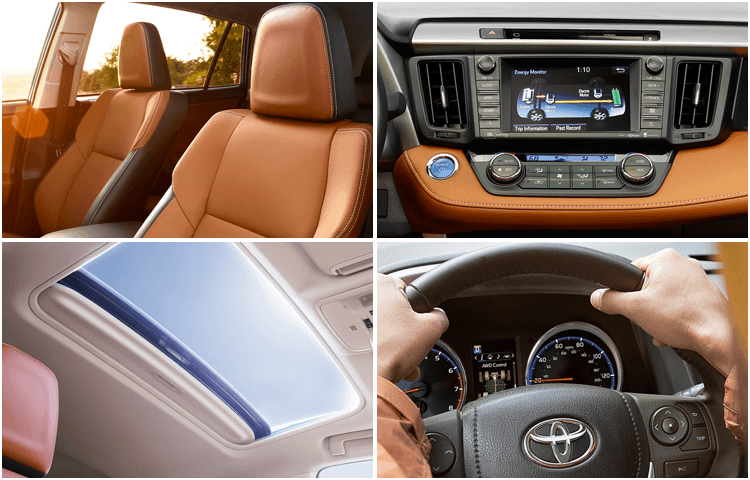 Every new 2018 Toyota RAV4 comes with Toyota Safety Sense™ P, a suite of safety features that are usually expensive upgrades on other vehicles. The features include a Pre-Collision System with Pedestrian Detection, Lane Departure Alert with Steering Assist, Automatic High Beams, and Dynamic Radar Cruise Control. This is just the beginning of the amazing safety features that come with the 2018 Toyota RAV4 Hybrid. 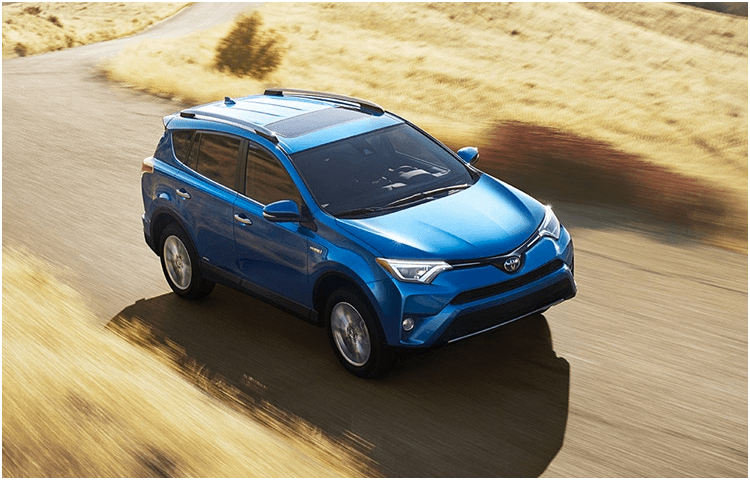 The 2018 Toyota RAV4 Hybrid is designed to be both powerful and efficient, thanks to the innovative Toyota hybrid system. The hybrid drivetrain delivers 194 net horsepower and thrilling acceleration, making all your trips fun. Despite this power, the 2018 Toyota RAV4 Hybrid gets an estimated 34 miles per gallon in the city and 30 miles per gallon on the highway! The standard Electronic On-Demand AWD with intelligence means that it's easy to take your 2018 Toyota RAV4 Hybrid wherever you need to go. There's so much more that makes this vehicle special, so come experience it today with a test drive at Titus-Will Toyota! * MSRP excludes the Delivery, Processing, and Handling Fee of $885 for Cars (Yaris, Yaris iA, 86, Corolla, Corolla iM, Camry, Camry HV, Prius LB, Prius, Prius Prime, Mirai, RAV4 Hybrid, RAV4 Hybrid HV), $960 for Small/Medium Trucks, SUVs and Van (C-HR, RAV4 Hybrid, RAV4 Hybrid HV, Highlander, Highlander HV, 4Runner, Sienna, Tacoma), $1,195 for Large SUVs (RAV4 Hybrid, Land Cruiser), and $1,195 for Large Truck (Tundra). (Historically, vehicle manufacturers and distributors have charged a separate fee for processing, handling and delivering vehicles to dealerships. Toyota's charge for these services is called the "Delivery, Processing and Handling Fee" and is based on the value of the processing, handling and delivery services Toyota provides as well as Toyota's overall pricing structure. Toyota may make a profit on the Delivery, Processing and Handling Fee.) Excludes taxes, license, title and available or regionally required equipment. The Delivery, Processing and Handling Fee in AL, AR, FL, GA, LA, MS, NC, OK, SC and TX will be higher. Actual dealer price will vary.